A coronal mass ejection captured by NASA’s Solar Dynamics Observatory in September, 2017. NASA/SDO. An international team of astronomers has untangled new insight into the birth of coronal mass ejections, the most massive and destructive explosions from the sun. In a paper published in the journal Science Advances, a team led by Tingyu Gou from the University of Science and Technology of China was able to clearly observe the onset and evolution of a major solar eruption for the first time. From a distance the sun seems benevolent and life-giving, but on closer inspection it is seething with powerful fury. Its outer layer – the corona – is a hot and wildly energetic place that constantly sends out streams of charged particles in great gusts of solar wind. It also emits localised flashes known as flares, as well as enormous explosions of billions of tons of magnetised plasma called coronal mass ejections (CMEs). These eruptions could potentially have a big effect on Earth. CMEs can damage satellite electronics, kill astronauts on space walks, and cause magnetic storms that can disrupt electricity grids. Studying CMEs is key to improving the capability to forecast them, and yet, for decades, their origin and evolution have remained elusive. “The underlying physics is a disruption of the coronal magnetic field,” explains Bernhard Kliem, co-author on the paper, from the University of Potsdam in Germany. Such a disruption allows an expanding bubble of plasma – a CME – to build up, driving it and the magnetic field upwards. The “bubble” can tear off and erupt, often accompanied by solar flares. The magnetic field lines then fall back and combine with neighbouring lines to form a less-stressed field, creating the beautiful loops seen in many UV and X-ray images of the sun. “This breaking and re-closing process is called magnetic reconnection, and it is of great interest in plasma physics, astrophysics, and space physics,” says Kliem. But the reason why the coronal magnetic field is disturbed at all is a matter of continuing debate. The theory holds that turbulence causes the magnetic flux ropes to become tangled and unstable, and if they suddenly rearrange themselves in the process of magnetic reconnection, they can release the trapped energy and trigger a CME. Others in the field think that it’s the other way around – magnetic reconnection is the trigger that forms the flux rope in the first place. It’s a tricky question to tease out because flux ropes and reconnection are so intertwined. Recent studies [Nature] even suggest that there’s another layer of complexity: smaller magnetic loops called mini flux ropes, or plasmoids, which continuously form in a fractal-like fashion and may have a cascading influence on bigger events like a CME. To get a better handle on this complex process, the team observed the evolution of a CME that erupted on May 13, 2013. By combining multi-wavelength data from NASA’s Solar Dynamics Observatory (SDO) with modern analysis techniques, they were able to determine the correct sequence of events: that a magnetic reconnection in the solar corona formed the flux rope, which then became unstable and erupted. Specifically, they found that the CME bubble continuously evolved from mini flux ropes, bridging the gap between micro- and macro-scale dynamics and thus illuminating a complete evolutionary path of CMEs. The next step, Kliem says, is to understand another important phenomenon in the eruption process: a thin, elongated structure known as a “current sheet”, in which the mini flux ropes were formed. “We need to study when and where the coronal magnetic field forms such current sheets that can build up a flux rope, which then, in turn, can erupt to drive a solar eruption,” he concludes. Radiation signatures produced by giant solar storms more complex than previously thought. Astronomers using one of the most sensitive arrays of radio telescopes in the world have caught a huge storm erupting on the sun and observed material flung from it at more than 3000 kilometres a second, a massive shockwave and phenomena known as herringbones. In the journal Nature Astronomy, Diana Morosan from the University of Helsinki in Finland and her colleagues report detailed observations of the huge storm, a magnetic eruption known as a coronal mass ejection (CME). Unlike the herringbones a biologist might find while dissecting, well, a herring, the team found a data-based version while dissecting the radio waves emitted during the violent event. The shape of the fish skeleton emerged when they plotted the frequencies of radio waves as the CME evolved. The spine is a band of emission at a constant frequency, while the vertical offshoot “bones” on either side were sudden short bursts of radiation at a much wider range of frequencies. Herringbones have been found in the sun’s radio-wave entrails before, but this is the first time that such a sensitive array of radio telescopes has recorded them. The detailed data enabled Morosan and colleagues for the first time to pin down the origin of the radiation bursts. To their surprise, the bones were being created in three different locations, on the sides of the CME. “I was very excited when I first saw the results, I didn’t know what to make of them,” Morosan says. As the CME erupted, the astronomers were already monitoring the sun, using 24 radio telescopes from the Low Frequency Array (LOFAR) distributed around an area of about 320 hectares near the village of Exloo in The Netherlands. “We had seen this really complicated active region – really big ugly sunspots, that had already produced three X-class flares, so we thought we should point LOFAR at it and see if it produces any other eruptions,” explains Morosan. A last minute request to the LOFAR director was rewarded with an eight-hour slot on the following Sunday, during which the active region erupted again, emitting X-rays so intense that it was classified as an X-class flare, the most extreme category. 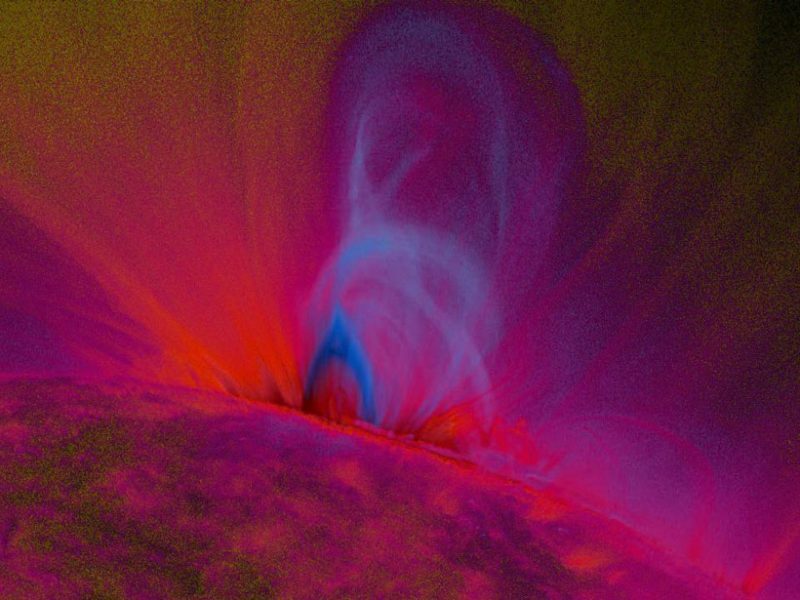 Flares are caused by turbulence in the plasma that makes up the sun. Plasma is gas that is so hot that the electrons begin to be stripped from the atoms, forming a mixture of charged particles. As it swirls around in the sun the charged particles create magnetic fields. When the turbulence rises the magnetic field lines can get contorted and unstable, a little like a tightly coiled and tangled spring. Sometimes the tangled magnetic field suddenly rearranges itself in a violent event called magnetic reconnection, a bit like a coiled spring breaking and thus releasing a lot of trapped energy. It is this energy that powers the flare and propels the plasma out into space to form the CME. “The CME is still connected to the solar atmosphere via the magnetic field, so it looks like a giant bubble expanding out,” Morosan says. The extreme energy in the CME – the second largest during the sun’s most recent 11-year cycle – accelerated matter away from the sun’s surface to over 3000 kilometres per second, or 1% of the speed of light. Because it was so fast the CME formed a shockwave as it travelled through the heliosphere – the atmosphere around the sun. Similar to the sonic boom created by a supersonic aircraft, the shockwave accelerated electrons to extreme speeds and caused them to emit radio waves that Morosan and her colleagues recorded. The exact frequency of the radio waves emitted by the electrons depends on the density of their environment. Close to the sun the photosphere density is higher, which creates higher frequency radio waves. The further the electrons are from the sun the lower the frequency of the radio emission. So the shape of the herringbones as a plot of frequencies shows where the accelerated electrons are in the sun’s atmosphere. The spine represents a constant frequency emission originating from electrons trapped in the shockwave. These escape in bursts from the shock and get funneled along the magnetic field lines on the surface of the CME bubble. Some bursts of electrons are funneled back towards the sun. These are the herringbone offshoots to higher frequency, while the ones that get funneled the other way, out into space, create offshoots to lower frequency. The sensitivity of the array of radio telescopes allowed the team to clearly identify three sources of herringbone radiation, all of them on the flanks of the CME, not at the front of it, as had been proposed. However, the success of the observation was cut short because the timeslot on the LOFAR array came to its end, while the CME was still in full swing. As of 1 August 2005, the university complies with the harmonized structure of the Europe-wide Bologna Process and offers Bachelor, Master, Licenciate, and Doctoral degrees. Admission to degree programmes is usually determined by entrance examinations, in the case of bachelor’s degrees, and by prior degree results, in the case of master and postgraduate degrees. Entrance is particularly selective (circa 15% of the yearly applicants are admitted). 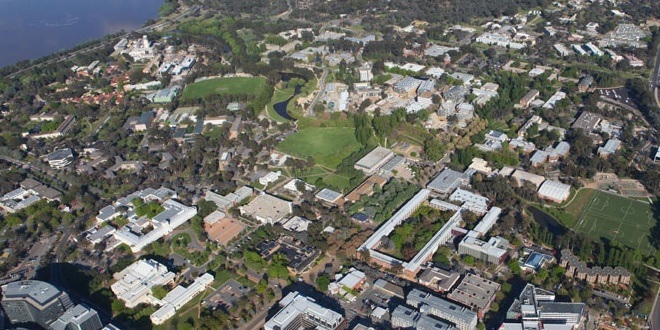 It has been ranked a top 100 university in the world according to the 2016 ARWU, QS and THE rankings. Artist’s concept of Earth’s magnetic field, which surrounds and protects our planet, and which sometimes flips. Image via NASA/Peter Reid, University of Edinburgh/astrobio.net. A research team led by scientists in Taiwan and China announced on August 21, 2018, that Earth’s protective magnetic field has undergone relatively rapid shifts in the past, including one lasting just two centuries. That’s fast in contrast to the thousands of years thought to be needed for a magnetic pole reversal, an event whereby magnetic south becomes magnetic north and vice versa. Such an event might leave Earth with a substantially reduced magnetic field for some unknown period of time, exposing our world to dangerous effects from the sun. If it occurred in today’s world of ubiquitous electric power and global interconnected communications, a reduced magnetic field could cost us trillions of dollars. The peer-reviewed journal Proceedings of the National Academy of Sciences published this new work on August 20. “Earth’s magnetic field, which has existed for at least 3.45 billion years, provides a shield from the direct impact of solar radiation. As the researchers described it, the flip was nearly 30 times faster than a generally accepted time required for polarity flips and 10 times faster than the fastest known rate of change. Magnetic pole reversals are natural events, and earthly life has evolved for billions of years with them going on in the background. What’s different today is that humans have developed technologies susceptible to events on the sun. To give you an idea of how powerful the sun is, watch a bit of the video below, showing a July 19, 2012, eruption on the sun. The eruption produced a moderately powerful solar flare, exploding on the sun’s lower right hand limb, sending out light and radiation. It then produced a coronal mass ejection, or CME, which shot off to the right out into space. It’s the CMEs that are so dangerous to earthly technologies. The Carrington Event took place long before our vast electric power grids and satellites in orbit. A more recent event – the biggest earthly effect from a solar storm in living memory – happened on March 13, 1989. A storm on the sun that day caused auroras that could be seen as far south as Florida and Texas. It caused some satellites in orbit to lose control temporarily, and – most significantly – it sparked an electrical collapse of the Hydro-Québec power grid, causing a widespread electrical blackout for about nine hours. And that is the issue. Events on the sun, and their accompanying CMEs, aren’t harmful to earthly life. After all, life on Earth has evolved for billions of years, as occasional solar super-storms took place. But these space weather events are harmful to human technologies, such as satellites and electrical grids. Boom! A CME lifts off from the sun’s surface to space. This image was obtained in 2001 by the Solar and Heliospheric Observatory (SOHO) and is via ESA and NASA. I think we can and will! What do you think? 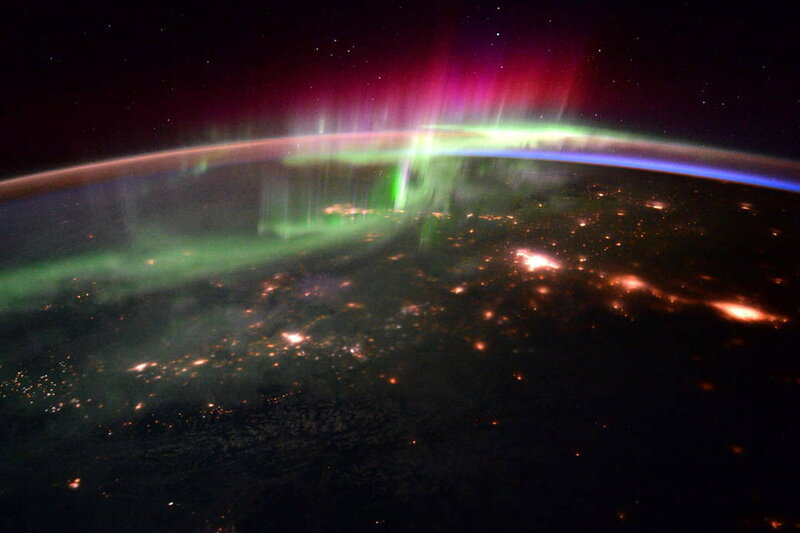 Northern lights (aurora borealis) seen on Earth from orbit. The same events on the sun that cause these beautiful auroras have the potential to damage earthly electrical grids and satellites in orbit. Image via NASA/ESA. Bottom line: Researchers have learned that magnetic field reversals on Earth can happen on a relatively fast timescale. They have evidence for one that took place over only two centuries. Prior to this work, it was thought that magnetic reversals took thousands of years. And although posteruption structural changes are important, the researchers emphasize that the flux rope structure of a coronal mass ejection at eruption is still a good approximation for its structure upon Earth arrival and serves as a key input for space weather forecasting models.